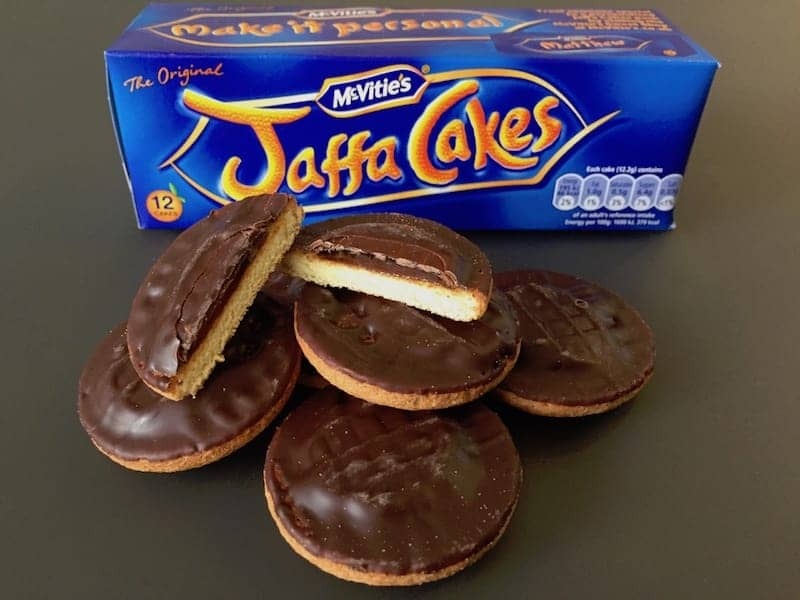 McVitie & Price first introduced the Jaffa Cake in 1927. Named after jaffa oranges, it combines apricot, sugar and tangerine oil to form the zesty flavoured layer of jam, on top of a Genoise sponge base and topped with chocolate. Famously, the Jaffa Cake has been proved to the courts, to be a cake, not a biscuit, and therefore it is not subject to VAT. The full range of McVitie's Jaffa Cakes are still produced in Stockport, Cheshire.